Visit the Thredbo website or phone 1300 020 589 for accommodation and ski package prices. 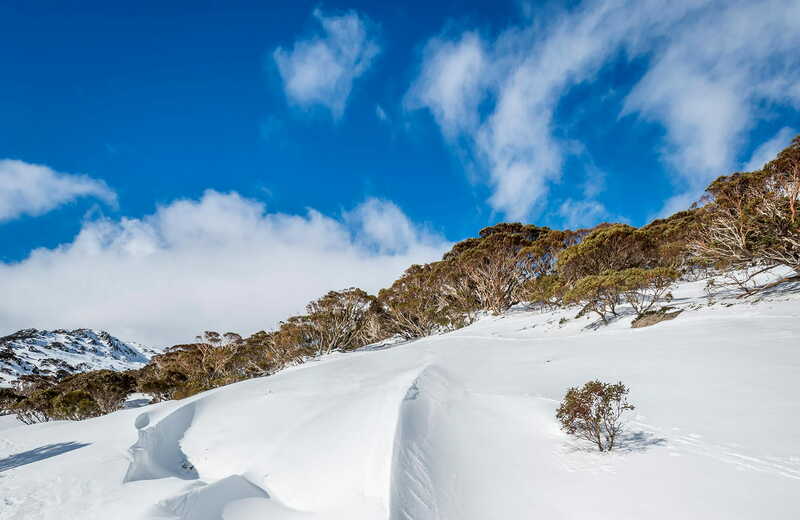 Whatever the season, Thredbo Alpine Village is a fantastic base to explore the sublime alpine landscape of Kosciuszko National Park and the rooftop of Australia. The intimate village is at an altitude of 1370m, so it's not far to the ski slopes of one of Australia’s top resorts, which boasts over 280ha of territory to play around on. Terrain parks offer lots of fun for snowboarders too. When the weather warms up, it’s a great time to take Kosciuszko Express Chairlift and hike to the summit of Australia’s tallest mountain, Mount Kosciuszko. A glorious sea of wildflowers emerge not long after the snow melts and the views from the top across the Snowy Mountains are superb. Back at village-level, activities include horse riding, guided walks, bobsled and fishing, or check out the leisure centre. Adventure-seekers can take on the many mountain bike trails like Thredbo Valley track, or go abseiling. In the evening, relax over a meal, or catch one of Thredbo's annual events and festivals. Find out more on the Thredbo website. Take a virtual tour of Thredbo Alpine Village captured with Google Street View Trekker.